4) Enter your account information as shown below. 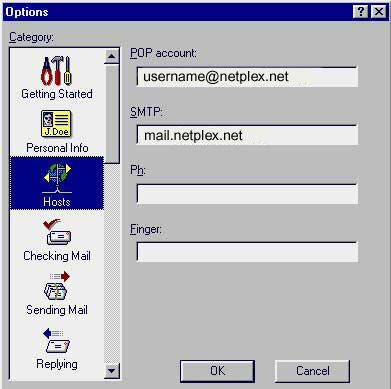 You are now ready to send and receive email using Eudora Lite 3.0. 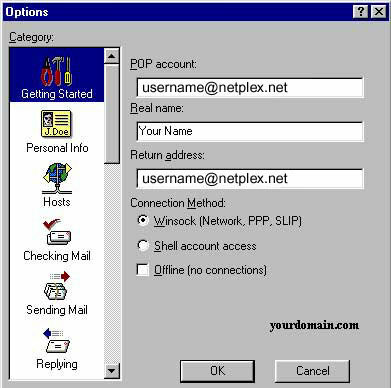 Once connected to the internet via your dial-up networking software, click on the Check Mail icon and enter your password (the same as your network logon password) to check mail.